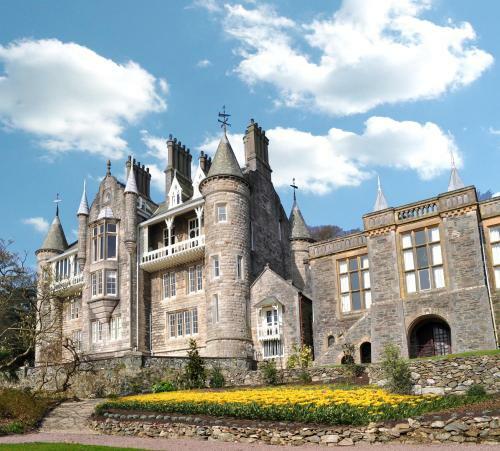 Home | Bangor Tourist Information and pictures of Bangor, Gwynedd, Wales. Bangor, a university town, is one of the smallest cities in the United Kingdom. It is situated in a region of outstanding natural beauty where the Snowdonia Mountains reach the sea. The City sits on the edge of the Menai Strait (a narrow stretch of shallow tidal water roughly 14 miles long separating Bangor and the mainland from the Isle of Anglesey). The strait is bridged in two places - the main A5 road is carried over the strait by Thomas Telford's magnificent iron suspension bridge, opened in January 1826, and adjacent to this is Robert Stephenson's 1850 Britannia Tubular Bridge. The city itself dates back to the founding of a cathedral by the Celtic saint Deiniol in the early 6th century AD. The name 'Bangor' comes from a Welsh word for a type of fenced-in enclosure, such as was originally on the site of the cathedral. The present cathedral is a somewhat more recent building and has been extensively modified throughout the centuries. While the cathedral is not the oldest, nor by any means the biggest, the bishopric of Bangor is one of the oldest in the United Kingdom. Another claim to fame is that Bangor has the longest High Street in Wales. It is the region's main cultural and shopping centre, and the city centre has two modern shopping centres, plus a mix of national chain stores and smaller shops. You can catch the latest cinema releases at the Apollo Plaza Cinema in the High Street, while the regional theatre, Theatr Gwynedd, shows a wide variety of films, plays, operas, dance performances and concerts. As with any university town there is a wide selection of pubs and cafes and I am sure it is a great place for a night out. Culturally, you are in the heart of "Fortress Gwynedd,” the last bastion of defence for the Welsh Language. The defence of the language is of supreme importance to many of the population and Welsh is naturally used as the first language. Statistically approximately 55 per cent of the population is Welsh speaking, but venture out of the city centre, and to the surrounding villages, and you will find that the Welsh language is spoken by the majority. Bangor is fortunate to have its own Victorian Pier. Bangor Pier opened in 1896, and the old pier has stood firm - reaching out half way to the Isle of Anglesey (1500ft - 458m) - for over a hundred years. However, there have been serious threats to its existence. Firstly, in 1914 from the SS Christiana, a coaster that broke free from its moorings and crashed into the pier. Again, in 1971 when the authorities closed the pier for safety reasons and considered its demolition. The local council, to their great credit, acted before it was too late, bought the Pier for a peppercorn price of 1 penny, and restored it to its former glory. It now makes a lovely venue for a stroll in the sunshine or as a vantage point for the many anglers. Bangor Cathedral has been a place of worship and prayer for almost fifteen centuries. Indeed, it is the oldest cathedral foundation in Britain; founded circa 525AD on the site of a Celtic clas and dedicated to St Deiniol ca 546 AD. Deiniol was a man of noble birth and having been given land, probably by Maelgwn, King of Gwynedd, he enclosed it with a fence constructed by driving poles into the ground and weaving branches in between them. The native term for this type of fence was 'bangor'. Within this enclosure Deiniol built his church. There is no trace of the original church, which is not surprising considering it would probably have been no more than a hut of wattle and daub. The present church can be dated back to early 12th Century when the church had an eastern apse and probably an aisle-less nave. Today it may still be small by comparison with many other cathedrals in these islands, but its natural charm and simplicity make its own appeal. It may be old, but it is no anachronism; it has much that is historic, but it is no museum. Gwynedd Museum and Art Gallery is found behind Bangor Cathedral in the centre of the City. 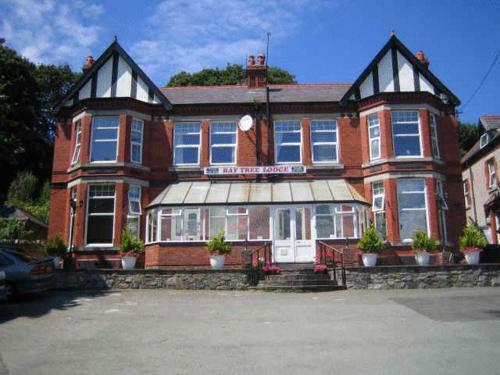 Sometimes known as Bangor Museum, the museum is Gwynedd's only general museum. The museum displays examples of Welsh furniture, textiles, art, archaeology, social history items. Located in the former Canonry it is brimming with stories from Gwynedd and surrounding area. The Roman Segontium sword, the Welsh Not, model of Telford's suspension bridge, the King of Bardsey's crown are just a few of the treasures you can enjoy. Bangor is bordered by the mountains of the Snowdonia National Park to the south and the beautiful coastline of the Menai Strait to the north. This makes Bangor an ideal base for walkers, cyclists, and water sport enthusiasts. Indeed, I would go so far as to suggest that Bangor University owes much of its popularity to its proximity to this centre for outdoor activities and extreme sports. There are many opportunities for cycling and mountain biking in the National Park, and climbers and hill walkers will be spoilt for choice. The extreme sports enthusiasts are well catered for with fast flowing rivers and tumbling waterfalls; and for those with the inclination there are plenty of mountaintops from which to jump off. Within the city, there are a number of town trails and the North Wales Coastal Path (soon to be the Wales Coastal Path) wends its way via the valley of the Afon Cegin. Make an instant secure online room or cottage reservation nearby. Hotel room and cottage availability and rates are confirmed online prior to booking. Simply click through to the hotel or cottage page, choose a suitable property, fill in the availability form, including dates of stay, to confirm the exact room rate and reserve the accommodation. On making the reservation you will receive an instant e-mail confirmation with further contact details should you feel this to be necessary. You may make an instant secure hotel or cottage reservation close to Bangor. Hotel and cottage availability and letting rates are confirmed online prior to booking. Simply click through to the accommodation page, choose a suitable property, check availability, including dates of stay, to confirm the exact room rate and reserve the accommodation.